For 1.6 I focused on polishing and refreshing Musictube visuals so it looks at home on the latest OS X & Windows 10. Musictube is now fully HiDPI (aka Retina Display) compliant. Musictube got a new icon, more flat and hopefully more recognizable. A bug has been fixed that prevented resuming playback after pausing the music for more than a minute or so. The search autocompletion popup is back, so just type the first few letters of the artist name and accept a suggestion. 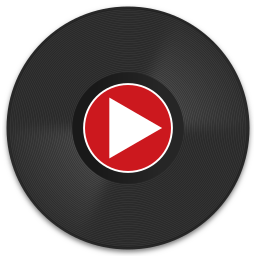 This release features significant updates in the libraries used by Musictube. It took a while but I finally managed to port Musictube to Qt 5 (I’m shipping the brand new Qt 5.7 on Mac & Windows builds). LibVLC has been updated to 2.2.4, Phonon to 4.9.0. Starting with this version I’m dropping 32bit Linux packages. Hopefully everybody has moved to 64bit Linux nowadays. On the Mac, Musictube now works from 10.7 and above, dropping 10.6 support. As usual, updated translations are contributed by users on Transifex. It’s starting to get hot here, I think I’ll go for a swim with the kids at Lago di Vico. Have fun with Musictube! Another quick bug fix release for Minitube and Musictube. Get it and enjoy the festive period! Just a quick note to let you know that minor updates of Minitube and Musictube are out, solving an issue with VEVO videos. Enjoy! A few days ago Musictube stopped working because of an error in the Last.fm API. Last.fm is in the process of migrating to a new infrastructure and is having many issues. This is a quick fix release that works around the invalid XML currently served by the Last.fm API. Have fun with Musictube! Like the release of Minitube 2.4 a few days go, this one focuses on internal changes and bringing Musictube to use YouTube APIs version 3. 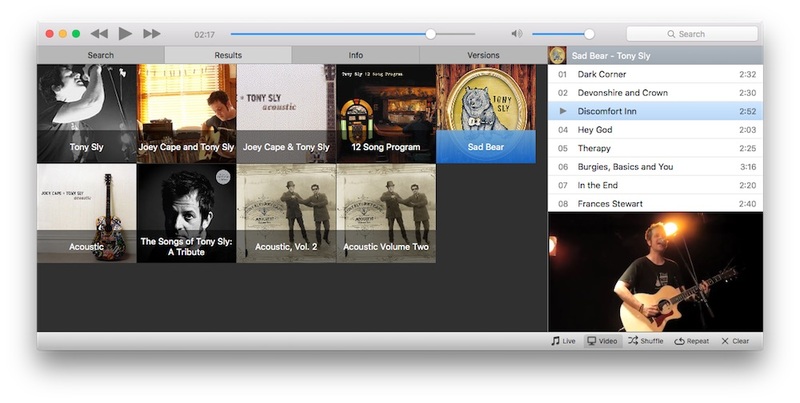 Musictube 1.4 is out with support for OS X 10.10 Yosemite and other under-the-hood changes. The media engine is now VLC on all three platforms, bringing better seeking and faster playback start. 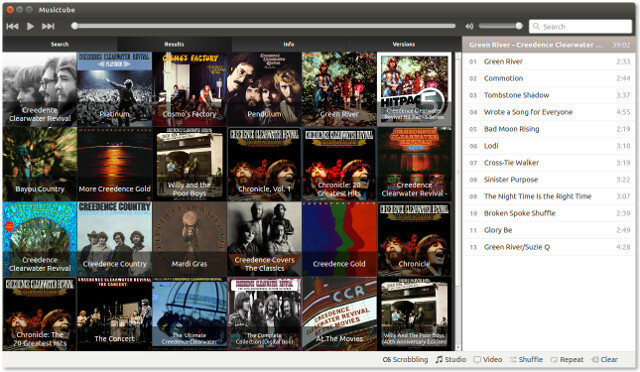 As for Minitube and Musique, Musictube has been removed from the Ubuntu Software Center for its slowness in reviewing updates. Existing customers please contact me via email with a copy of your license to get this and future updates. Here’s a new release for Musictube. 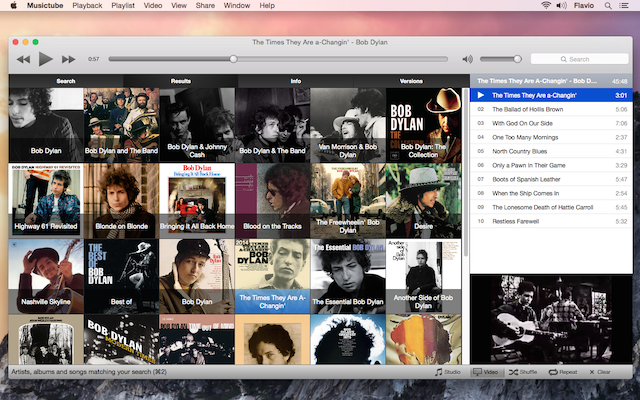 It mainly fixes video playback and lyrics fetching. 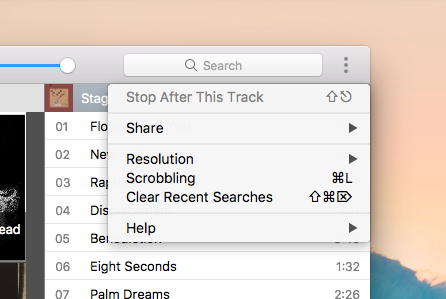 It also includes minor visual tweaks to the playlist and, like Minitube 2.2, adds a --stop-after-this command line option. Just a quick note to announce the release of Minitube 2.1.6 and Musictube 1.2.7. Both include a fix for the playback of some YouTube videos. A minor change in Minitube’s Browse tab removes some so-called standard feeds like Most Shared, etc. As always updated translations are included thanks to the wonderful translators at Transifex. Just in time for Xmas, two bugfix releases are out: Minitube 2.1.5 and Musictube 1.2.6. These updates bring a fix for some YouTube videos that were not playing. I wish everybody happy holidays! Ubuntu users will have to wait a few days until the updates are approved. Oh and by the way, I’m running a Minitube donation month in December on the Ubuntu Software Center by setting a $3.99 price on Minitube. Thanks to all the people that bought.